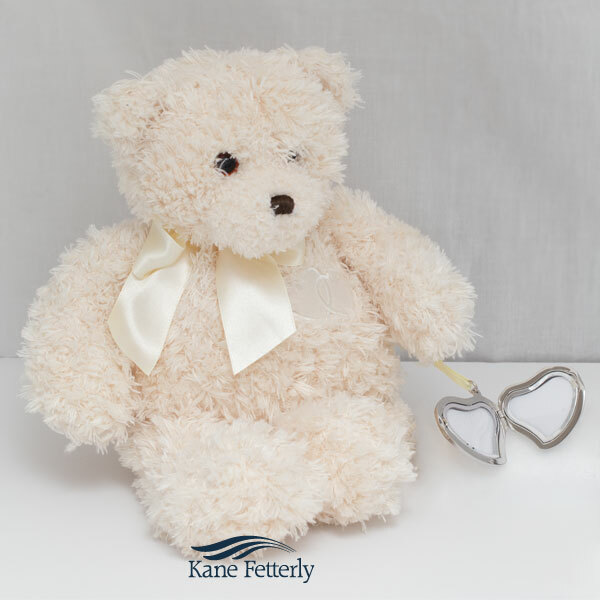 Teddy bear urn with silver heart-shaped photo locket. The heart locket can be used to store a token of ashes, a picture, a lock of hair, flower petals or other mementos. It is also possible to engrave the locket with a thought or initials.